Andrei Tiberiu Maria, also known as Smiley, is one of the most successful and prolific Romanian pop artists, creating a significant career for himself as a musician, but also as a producer and entertainer. After five Golden Disc awarded albums with SIMPLU, the boy band where Smiley first received the public’s attention, the Romanian artist decided to pursue a solo career. The success surrounding his three albums as a solo artist, the countless music awards and sold out national tours have proven the fact that Smiley remains the ultimate pop star in Romania, with great international appeal. His first solo album – In lipsa mea – was released in 2008 and was awarded with the Golden Disc and the Best album distinction at the Romanian Music Awards (RMA). Soon after, the artist went on a national tour named Smiley x 4 Show, that reached 20 of the largest cities in Romania. The first single released from this album – In lipsa mea – gained the Best song award and also brought Smiley the Best solo artist award. Designed to love you, Am bani de dat, Preocupat cu gura ta and not only were among the greatest releases from Smiley’s first solo album, reaching high positions in all the radio and TV charts. In 2010, Smiley released his second album as a solo artist – Plec pe Marte, which also received the Best pop-dance album award. As Smiley was already among the most influential Romanian musicians, many of the songs from his second album rapidly became hits bringing him countless national awards. 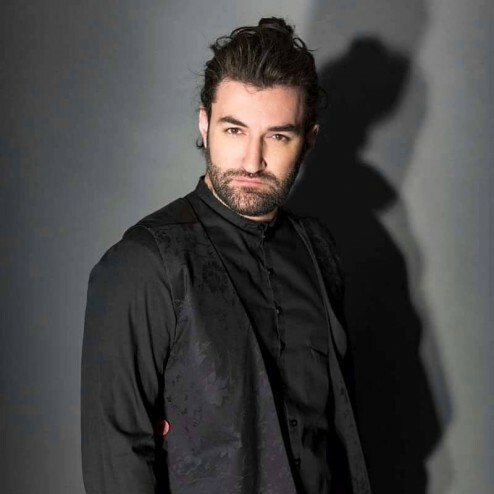 The single Plec pe Marte, for instance, stood on the first place in the Romanian music charts for 20 weeks, according to Nielsen, while the artist’s impressive live performances brought him the Best live award, one of the most desirable titles in the Romanian music industry. After the breathtaking success of the first release from Smiley’s second album, Love is for free, a featuring with Pacha Man, the ultimate raggae Romanian artist was on the first place in Romania for 14 consecutive weeks, according to Nielsen, was declared de most broadcasted song and also the Best pop-dance song. Dream girl, which was released in 2011 was number one for several weeks in Romania and granted Smiley the Best male artist award at RMA, one the most important events in the Romanian music industry. 2012 was definitely a big year for Smiley, as this was the year when the artist released Dead man walking, one of the most memorable songs in the artist’s career. While the single was instantly included in all the Romanian radio playlists and not only, standing as No. 1 for the entire summer, the video announced a world premiere, as it was the first time when a music video successfully used Augmented Reality elements. Smiley changed the way people looked at music videos by taking things to superior level. 2012 was also the year when Smiley and two other fellow artists (Alex Velea and Don Baxter) released Cai verzi pe pereti, a single that rapidly reached the first position in all the Romanian charts and a music video that broke YouTube.ro’s record, gaining almost 18 million views until now. Cai verzi pe pereti was broadcasted for almost a year not only on the radio, but also on the TV. In 2013, Smiley decided to release his third album as a solo artist with numerous brand new songs, but also with some of the greatest hits he had released in the past three years, such as Dead man walking, Nu deranjati, a song that was dedicated by Smiley to his fans on the occasion of Valentine’s day and which reached great success on the internet, but also his latest hit – Criminal, a featuring with the turkish rapper known as Kaan. His third album is called Acasa and promises to be the artist’s best album so far. As he has permanently been a leading figure in the Romanian music industry, Smiley has also proven that not only can he turn outstanding talent into music, but also great music into efficient business. In 2009, Smiley founded the record label HaHaHa Production, aiming to join all the production efforts in one place by building a strong, determined and talented team of artists and producers under his direct coordination. Among the successful projects that were produced and developed by the Romanian artist and producer were artists or groups of artists such as: Radio Killer, Alex Velea, Mihai Ristea, Soré, Don Baxter, Cabron, Jazzy Jo, Giulia, Pacha Man, Speak, Brighi and many others. Also, many of the most popular Romanian musicians have had hits produced my Smiley himself: CRBL, Puya, Delia, Wanda, Zero, Elena Gheorghe, Anda Adam, Andreea Banica, Loredana, Andra, Corina, Cream, Emanuel. In terms of international collaborations , Smiley has worked with the Italian singer Ingrid, with the American rappers Snoop Dogg and Sway and many others, while numerous international projects are currently being developed at HaHaHa Production. Although music takes up most of his time and energy, Smiley is also a great entertainer. He is part of two successful TV shows – Romania’s got talent and The Voice and he’s already starred in two movies: Un pas inainte and Un film Simplu.